More pictures: See CALS Notes. Minns Garden [CALS Notes 2013-06-15] – Photo essay features Minns Garden, for countless Cornellians a cherished campus landmark. Soil Health Field Day, July 11, Clyde, N.Y. Soil health is never more important, nor more obvious, than in a very wet year. At a field day July 11th in Clyde, NY, learn about options for improving crop and soil performance through rainfall extremes. In fields with well-working tile, cleared outlets, minimal compaction, some surface residues, and water-stable soil aggregates, water percolates through the soil with little ponding or run-off and crops suffer much less damage. The deeper rooting of crops in healthy soils also sustains them longer through dry periods. More and more farmers in New York State are taking a second look at their crop rotations, cover crops and reduced tillage, in an effort to improve the health of their soil. Join us on Thursday, July 11th, 9:30 am – 2:00 pm, at Roger and Scott Arliss’ Pit Farms, 895 Lockpit Rd., east of Clyde, off Rt. 31, for a Soil Health Field Day. Observe the dramatically different effect of simulated rainfall on a soil with good health vs one that’s been overworked. See soil layers, compaction and crop root growth in a soil pit. On-farm trial results with a wide range of grass, legume and crucifer cover crops will be presented, including information on winter triticale and winter malting barley. 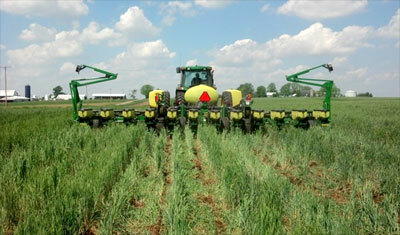 Reduced tillage equipment, including planters, will be demonstrated. There will time for you to discuss your experiences with other growers, as well as to ask questions of Roger and Scott Arliss, and the speakers. Registration for the field day is at 9:30 am and costs $5. A picnic lunch with hot dogs and hamburgers will be provided. For more information on the Soil Health Field Day contact Ron Thorn at: 315-946-9912 or rdtswcd@rochester.rr.com Sponsored by Wayne County Farm Bureau, USDA NRCS, Wayne County SWCD, Cornell University Cooperative Extension. Tour allure: Enjoy Cornell’s ‘garden of weedin” [Cornell Chronicle 2013-06-11] – The Cornell Weed Garden is a scientific utopia that features 85 of the Northeast’s most tenacious, loathsome and frustrating plants known to farmers and home gardeners, but sometimes surprisingly tasty to naturalists. 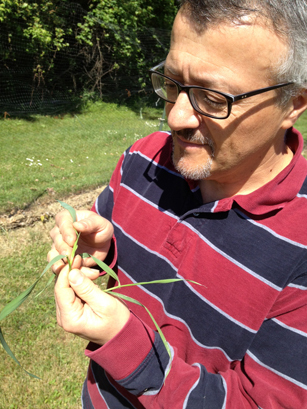 “Students appreciate hands-on learning, and the Cornell Weed Garden is experiential,” says Antonio DiTommaso, associate professor of weed ecology and management in crop and soil sciences. New gardens planned for Cornell Plantations [Ithaca Journal 2013-06-14] – The Town of Ithaca Planning Board will hold a public hearing at 7 p.m. Tuesday for the Cornell Plantations’ Botantial Garden redevelopment project. The three-phased proposal would add a one-acre peony and perennial garden and a quarter-acre East Asian garden around the plantations’ Brian C. Nevin Welcome Center. The new gardens would be designed with meandering pathways that trace the topography of the site and will return the Plantations’ peony collection, which was removed when the Nevin Center was constructed in 2010. The gardens would also include many other perennials, shrubs and small-statured trees that will integrate the center and its parking area into the existing landscape. SWD male. Note spot on each wing. Growers and gardeners who want to stay up-to-date on the latest SWD monitoring, management options and more, can visit the new Spotted Wing Drosophila blog, managed by Juliet Carroll, Fruit IPM Coordinator for the New York State IPM Program. The crops at highest risk for SWD infestation include fall raspberries, blackberries, and blueberries. June-bearing strawberries may escape injury, but late summer fruit or day-neutral varieties may suffer damage. Cherries, both tart and sweet, elderberries, and peaches are also susceptible. Thin-skinned grapes can be infested directly, though cracked or damaged berries are more susceptible. 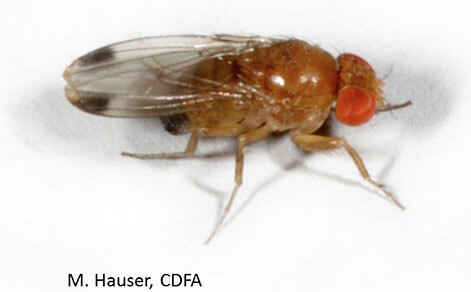 Chemical Control of Spotted Wing Drosophila in Berry Crops – For commercial growers. 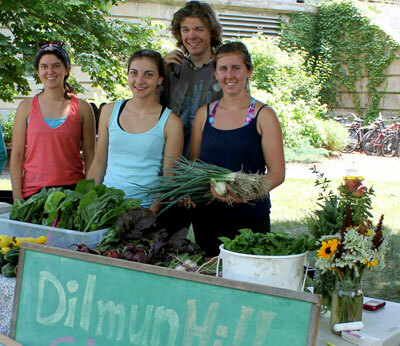 Dilmun Hill, Cornell’s student-run farm, will begin its weekly farmstand Thursday, June 13 from 3 to 6 p.m. on the Ag Quad outside Mann Library. In the event of rain, the stand will be in the library lobby. Dilmun’s student managers expect that the first market will feature tomato, squash and cucumber plants you can transplant into your own garden, plus lettuce, scallions and herbs. Get involved! Join Dilmun Hill work parties Wednesdays from 5 to 7 p.m. and Sundays 2 to 5 p.m.
Find out more about Dilmun Hill at the Cornell University Agricultural Experiment Station website. 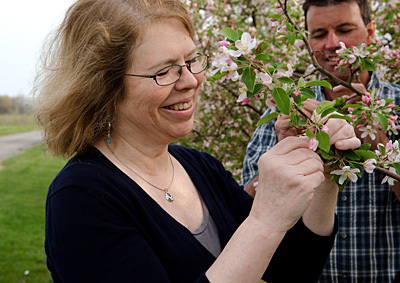 I am pleased to announce that Susan Brown, currently associate chair of the Department of Horticulture and Herman M. Cohn Professor of Agriculture and Life Sciences, has been named associate director of the New York Agricultural Experiment Station (NYSAES), effective July 1. As associate director, Brown will work with Tom Burr, CALS associate dean and Goichman Family director of the NYSAES, and assistant director Marc Smith on developing a strategic plan for NYSAES to remain an engine of agricultural innovation and economic development in the upstate New York economy. In addition, they will collaborate on major initiatives including working with stakeholders to secure funding for applied research at NYSAES and its satellite campuses including the Hudson Valley Laboratory and the Cornell Lake Erie Research and Extension Laboratory. Dr. Brown offers a unique and essential mix of highly respected scientific expertise; a background of forward thinking administrative leadership; and a deep commitment to the critical work being done at NYSAES in applied research, extension, and education. She has been a member of the faculty since 1985. In collaboration with the Horticulture Department, CALS leadership will identify and name an associate chair to succeed Dr. Brown in that departmental role. Please join me in welcoming Susan into this new role. Horticulture professor Chris Wien will serve as interim director of Cornell Plantations – the botanical gardens, arboretum, and natural areas of Cornell University – while the university searches for a replacement for Don Rakow, who announced his resignation on May 22. Wien, who will take up the helm on July 1, previously served as acting director of the Plantations from July 2006 to January 2007. Wien received his master’s degree from Cornell in 1967 and his Ph.D in 1971, joined the Department of Vegetable Crops as a postdoctoral fellow in 1971, and returned as assistant professor in 1979, after working abroad as a research scientist studying grain legume physiology in Nigeria. 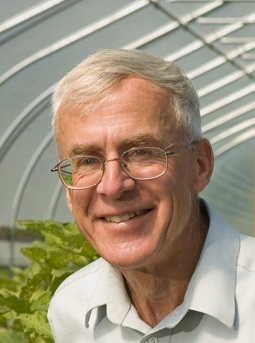 He served as chair of the Department of Fruit and Vegetable Science, then the Department of Horticulture, from 1996-2002. His research focus has been the production of cut flowers and herbaceous perennials. 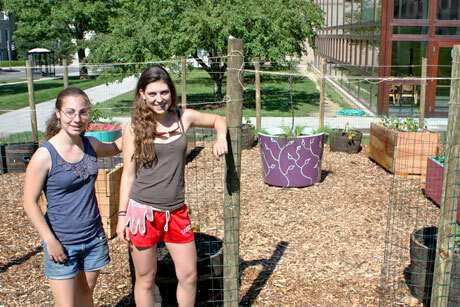 He also leads outreach projects encouraging the use of high tunnels among both growers and in school gardens. And he has continued international work in Africa, working with smallholder horticulturists in Zimbabwe, and leading student trips through the Cornell International Institute of Food, Agriculture and Development’s SMART program. 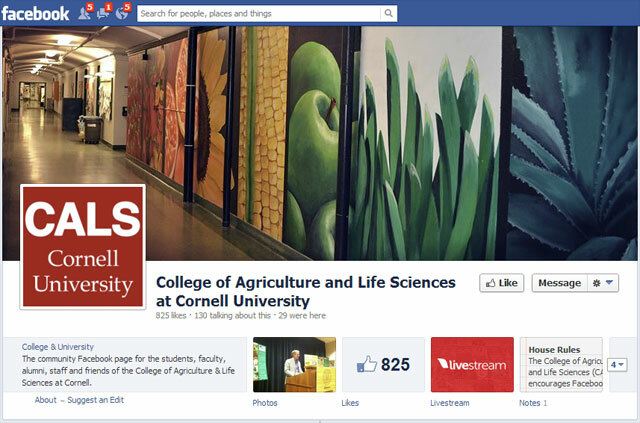 “Don’s leadership has been a key part of the transformation of Cornell Plantations in the last two decades. I am grateful for his expertise, enthusiasm and partnership,” saidKathryn Boor, the Ronald P. Lynch Dean of the College of Agriculture and Life Sciences. The Plantations will be establishing a new fund in his honor. 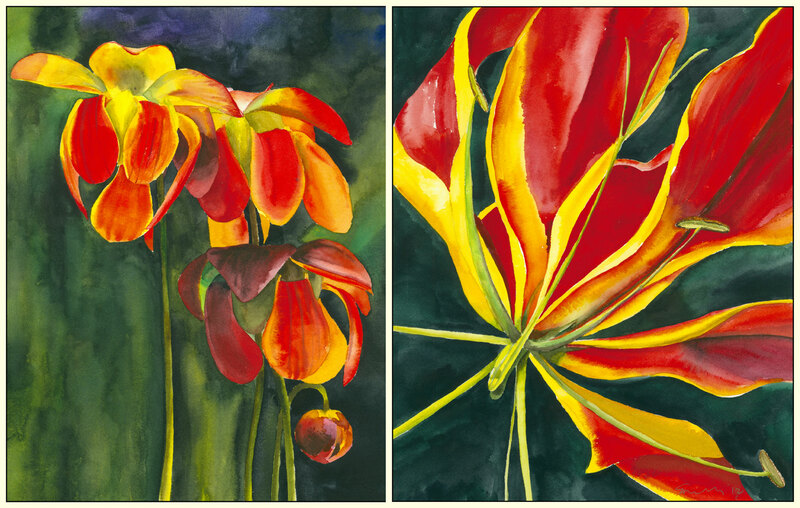 A watercolor diptych by Marcia Eames-Sheavly Native and Exotic Coupling is one of the works featured currently at the exhibition Art and Science: Drawing and Botany at the 49th annual meeting and conference of the Canadian Botanical Association June 1 to 5 at Thompson Rivers University in Kamloops, British Columbia. The show runs through June 21, and then Eames-Sheavly will display her work in Plant Science Building.